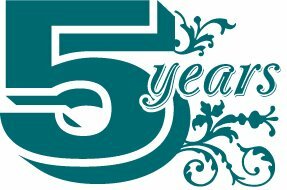 Today, April 12th, marks 5 years since I launched the Detroit Area Diaper Bank. I knew on that day in 2009 that Metro Detroit needed a diaper bank, that the diaper issue needed to be brought forward and people made aware of the need, but what I couldn’t have imagined on that day is how our community would respond. SO MUCH generosity, enthusiasm, and compassion! You, our donors and supporters, have helped us collect and distribute almost 2 million diapers to help our neighbors in need over the past 5 years – that’s absolutely amazing. And I hope you will continue your enthusiasm for the issue and remember that this need never goes away. Nonprofits all across the area continue their good works and need your support. Things are beginning to accelerate toward our move date, so I’m considering today the technical “close” date for DADB. I have one more distribution of adult diapers coming up and then our resources will finally be exhausted. These past 5 years have been beyond fulfilling, an experience I will carry with me always – thank you. From the bottom of my heart, thank you.